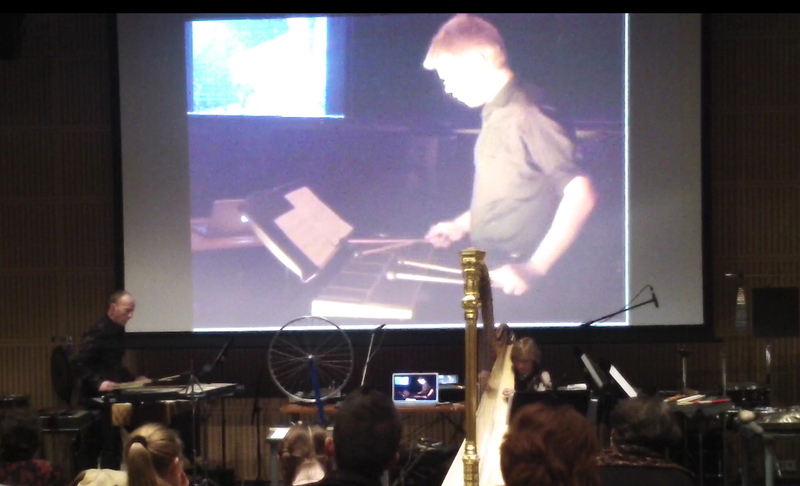 The Telematic Collective, along with harpist Erzsébet Gaal and Big Robot ensemble members Michael Drews and Jordan Munson, presented a telematic music and video concert at the Budapest Palace of the Arts in November 2012. Deal and Gaal were in Budapest, and the rest of the group performed from Indiana. 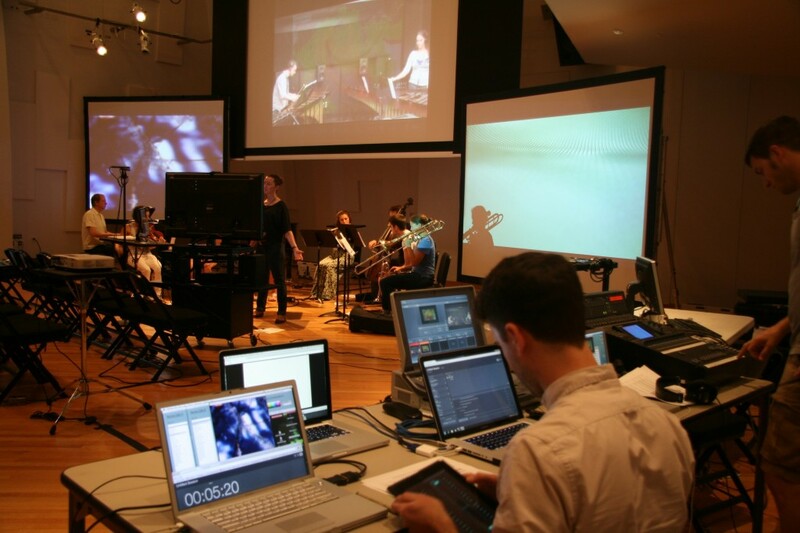 Pictured above is the performance of Goldstream Variations (2012), by Scott Deal, performed by Deal, Gaal, Kent Hanie, Javier Osorio Sanchez and Gayle Jones on cameras. The work utilizes an artificial intelligence application called ml*, created by Ben Smith. Ml* implements adaptive resonance theory, self-organizing maps, and spatial encoding neural nets in the MaxMSP programming environment. 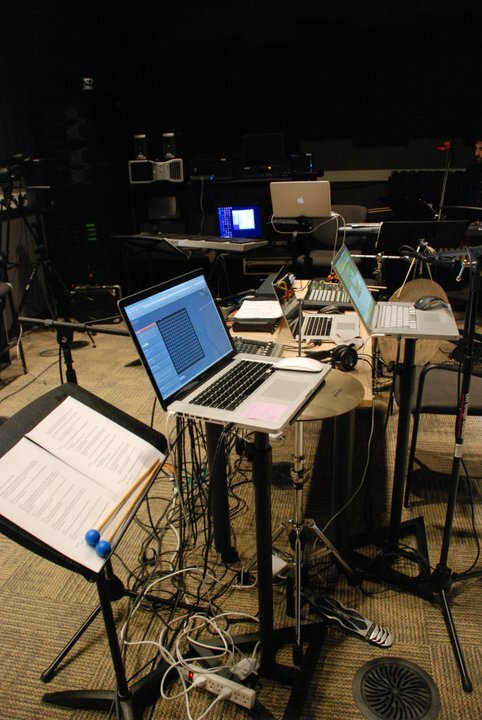 The software was implemented and worked in the composition by Javier Osorio Sanchez. Click the links below to see some videos from the collaborative performance with Butler University Chamber Dance. The Telematic Collective at IUPUI and Butler Chamber Dance will be performing two concerts together on April 26th and 27th, at IUPUI and Butler University, respectively. 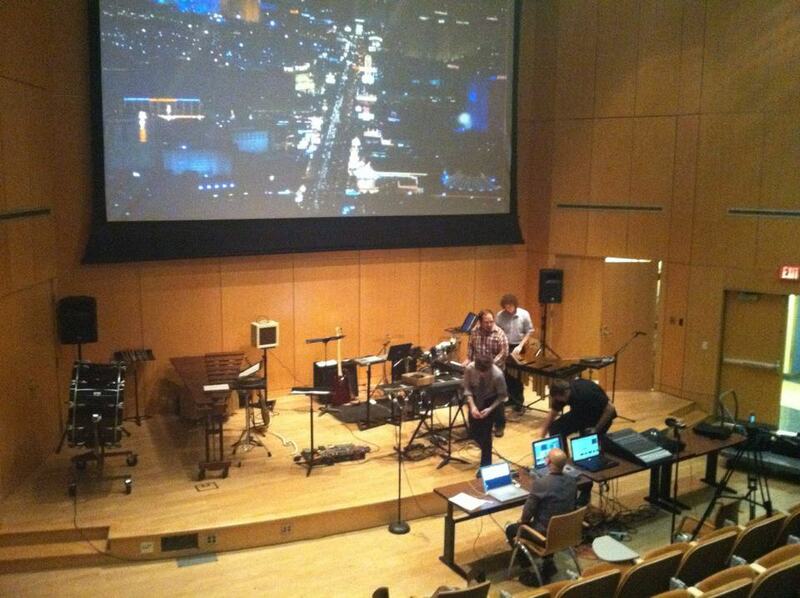 On Monday, March 5, the Telematic Collective participated in a performance of the telematic opera Auksalaq with musicians at the University of Virginia and members of the New World Symphony which took place at the Internet2/New World Symphony Performance and Masterclass Workshop in Miami Beach, Florida. 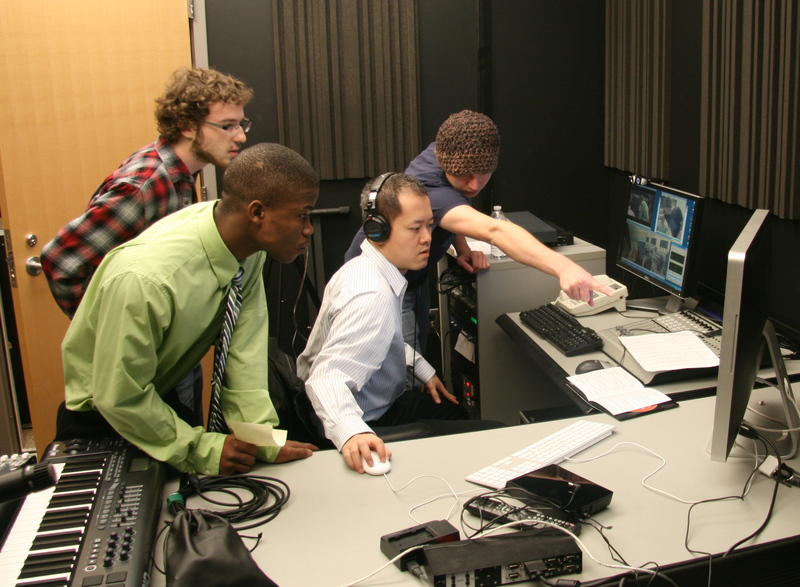 TC members performed from the Tavel Lab at IUPUI over high bandwidth Internet. 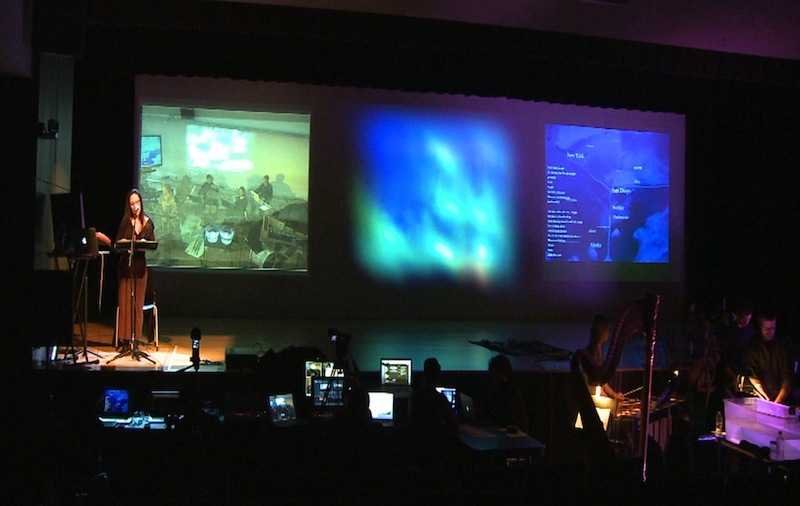 On April 26 and 27, the Telematic Collective will be performing in collaboration with the Department of Dance at Butler University’s Jordan College of Fine Arts. TC members will be performing music with choreography performed by the Butler dance students. 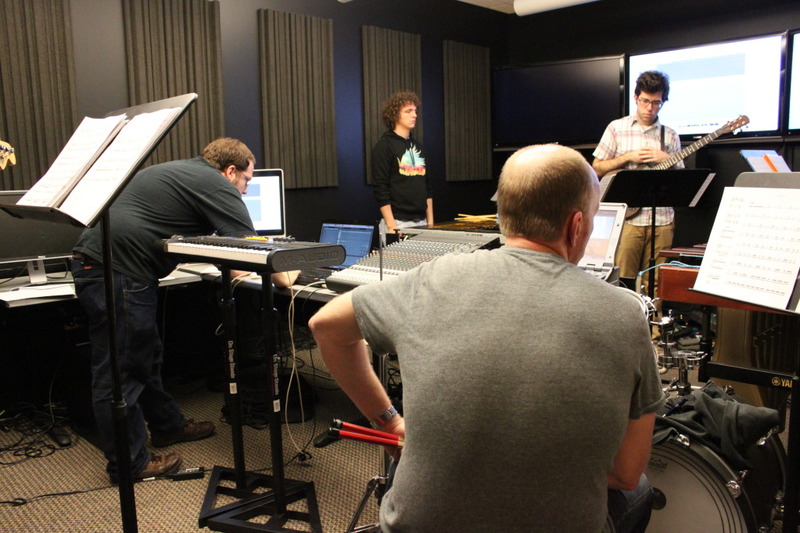 The April 26 performance will be at IUPUI’s ICTC building and the April 27 performance will be on Butler University’s campus. After a successful fall semester and restful winter break, the Telematic Collective is back and hitting the ground running. 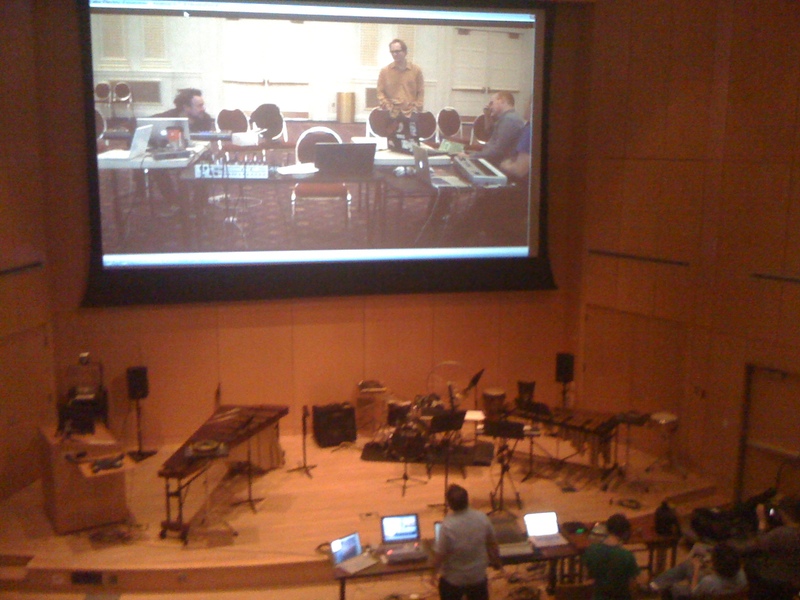 Within the next week, videos of every piece performed during the Fall 2011 semester will be on Youtube.